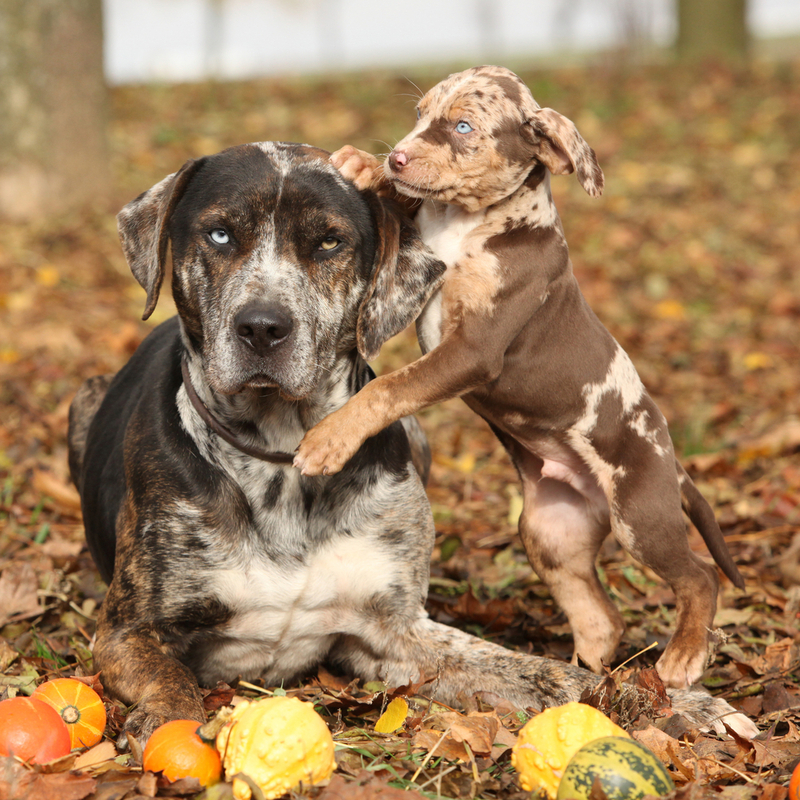 For the third part of our seven part series, we are going to focus on the Catahoula Leopard Hound aka the Catahoula Cur. This dog is an excellent hunter & herder dog! Fun fact: former president Teddy Roosevelt hunted with a Catahoula Hound! Highly intelligent & energetic, even tempered. They're very protective & natural alarm dogs. 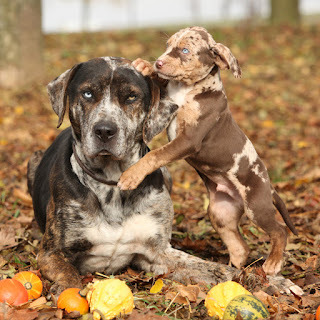 They are also great family dogs, but do not do well with isolation, they need their play time! NOT a low maintenance breed. This dog loves it's playtime and needs at the minimum, daily walks, if not romps in the yard! Since this is a great family dog, this fellow will love playing with the kiddos. Coats range from slick/ wash & wear, to coarse, or wooly/ double coated.